The Garden has been overrun with your favorite fairytales! From wicked brambles to magic pumpkins, plants are surprisingly prevalent in these famous tales. Enjoy an enchanted evening exploring these connections and hunting for signs of fairytale villains hidden throughout the Garden. With crafts, activities, light displays and more, this is an event you definitely don’t want to miss! This is an indoor/outdoor, costume, and kid-friendly experience in the Garden to celebrate Halloween. Lots of events: Witches Brew Ha Ha 5K run/walk; Breakfast with a Witch; Wee Witches Playground. The village is decorated up for the season, and there’s a fun scavenger hunt that will get you peeking around every corner to find the hidden witches. 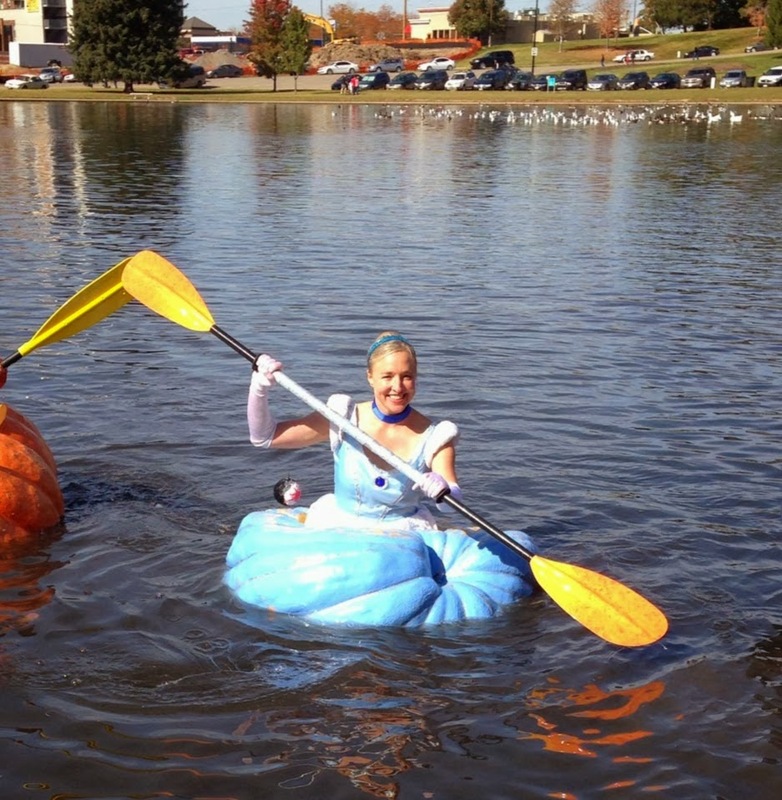 The 4th Annual Mountain Valley Seed Co. Ginormous Pumpkin Regatta will take place Saturday October 18th from 12:00 pm to 3:00 pm at Sugarhouse Park. Pumpkin carving from 12:00 to 1:00 and race from 1:00 to 3:00. Come watch these heroic growers race their 1,000 lb. plus pumpkins for love, honor and bragging rights. A fun 20-minute boat ride along the decorated stretch of Provo River. Not too scary, but pretty and fun to be outdoors during a beautiful fall season. Be sure to print a coupon from the website. A HUGE costume contest and the best-quality spooky classical music – you can’t go wrong! Tickets start at $8 and little kids three years old and younger can sit on a lap. Check out the program line up, and borrow some of the music from your library or buy it for your iPod and you’ll be a musical expert. Every October, the Zoo puts out a casting call for all princesses, cowboys, superheroes and wild things! Kids 12 and under can come in costume to trick-or-treat at booths set up throughout the zoo grounds. There will be lots of candy and lots to see and do. Trick-or-Treating activity is free with regular Zoo admission or membership. Hay maze, wagon ride, and a pumpkin to take home. The farm is also hosting a doggie Halloween costume contest and a festival of scarecrows. Cornbelly’s Corn Maze and Emerald City at Farm Country include lots of fun kids’ stuff. You can add on the Insanity Point haunted attractions if you’re really brave. You and your kids will enjoy the annual Pumpkin Festival trains. Your ticket includes a short 40 minute train ride where you will be entertained on board by costumed entertainers! You’ll also get to sample a pumpkin cookie. At the depot you can take a trip through the fairly spooky haunted car, and then get a Halloween sticker or temporary tattoo. And of course you also get to select a pumpkin from the Pumpkin Patch and take it home with you! Additional food and snacks will be available for purchase at the depot and in the concession car. In previous years, a few days during October offered discounted tickets for costumed kids. Nothing scheduled yet, but keep checking with them. 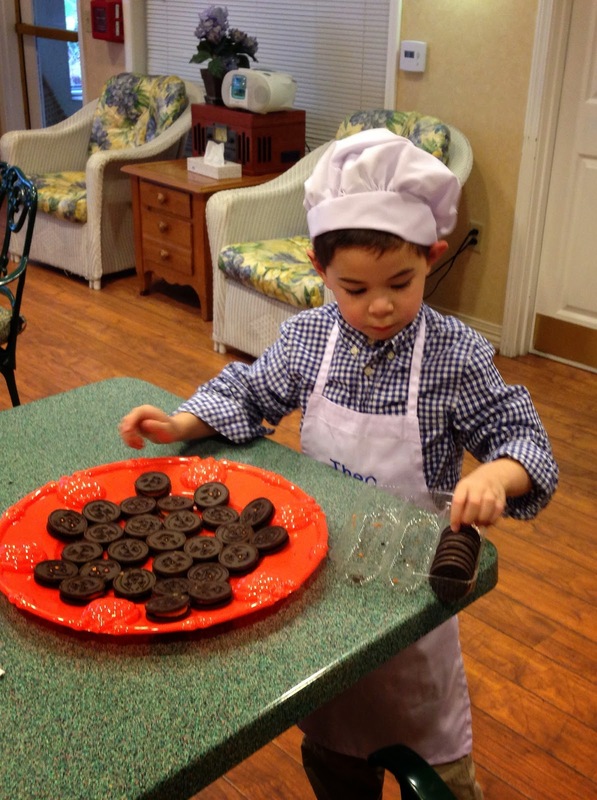 We love to dress up in our costumes, make some fudge, and hand it out to people living at “old folks’ homes.” Call a facility in your neighborhood and ask if you can schedule a little visit. We like to go during social hour when the residents usually gather in the dining room or lounge. We stay for about 30 minutes and hand out our treats, discuss all things Halloween, and make some new friends. October on TV – Halloween Activities!